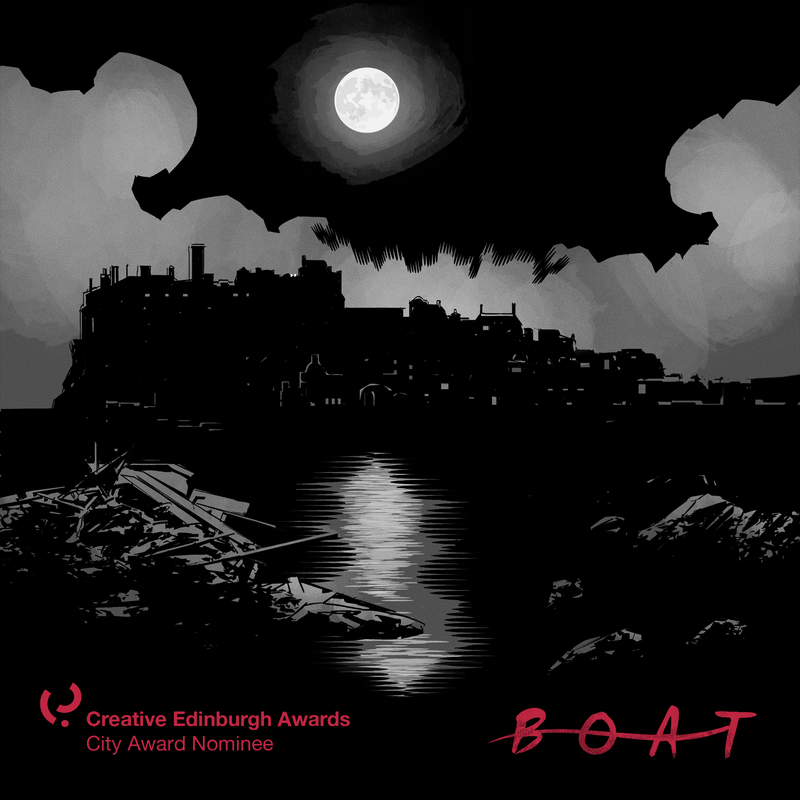 Boat: The Graphic Novels have been shortlisted for the ‘CITY’ Award at the 2017 Creative Edinburgh Awards . The ‘CITY’ award is for an outstanding creative contribution or activity that has promoted Edinburgh nationally or indeed, internationally, or work that has incorporated or utilised an Edinburgh city space or cultural idea specific to the city. Below is some information on the other shortlisted projects! We are in great company! It is a big honour to be shortlisted for this award, the team are all blown away to be included in such a great category. 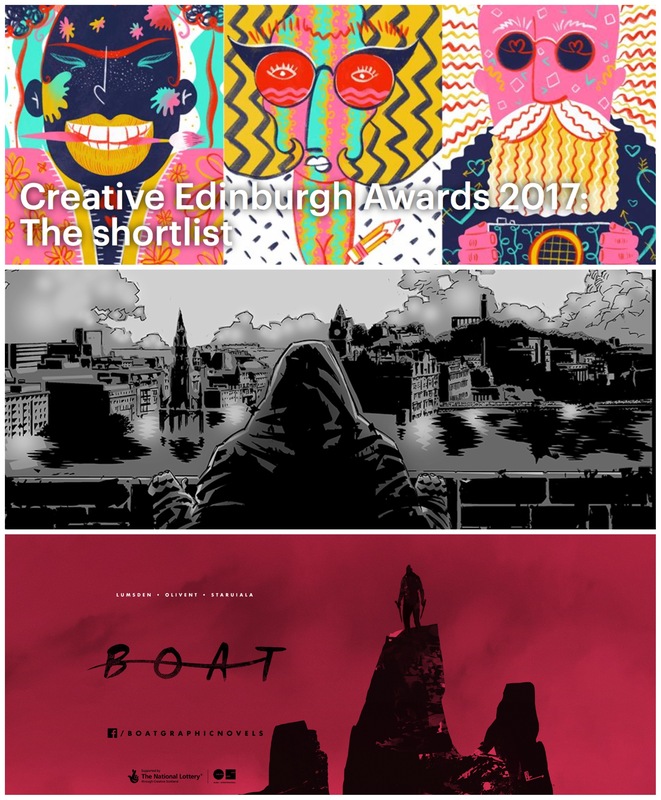 A massive thanks to Creative Edinburgh. We are looking forward to the event!